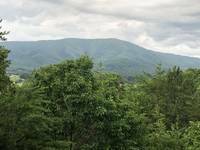 Looking for a private Smoky Mountains Getaway? 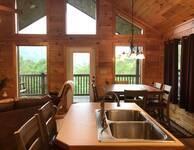 This cabin is perfect for couples looking for privacy and excellent views! Located in Wears Valley, Smoky Mountain Dreamin' is the ultimate escape for couples and families looking for a private getaway with an excellent mountain view. Conveniently located to Sevierville, Pigeon Forge, Townsend, and the "secret entrance" to the Great Smoky Mountains National Park, Smoky Mountain Dreamin' has it all! 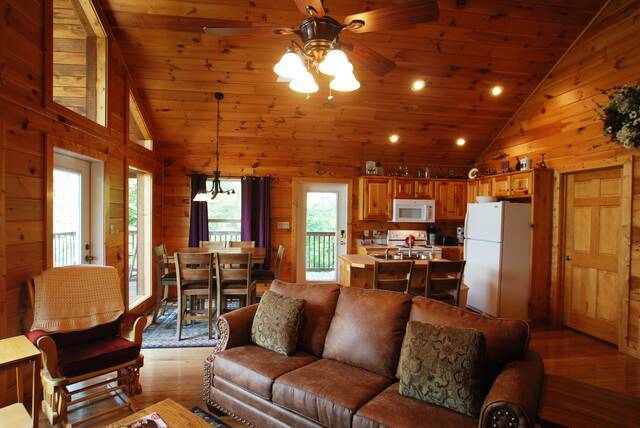 As you enter the cabin, an open floor plan greets you. The main level consists of the following: Kitchen, Living Room, Dining Room, 1/2 Bath, Bedroom with King Sized Bed and en-suite Bathroom. 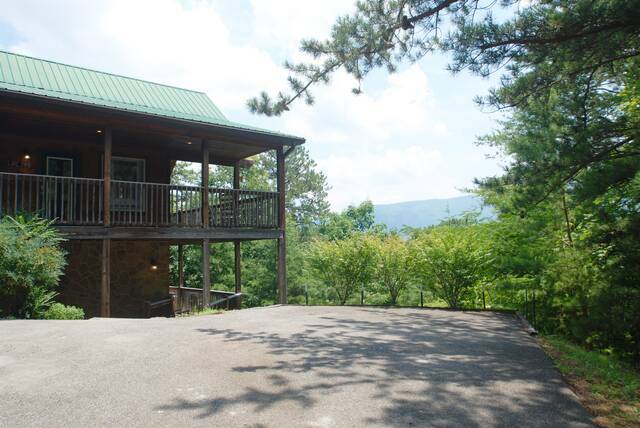 With floor to ceiling windows, taking in the views of the mountains is possible inside as well as outside. 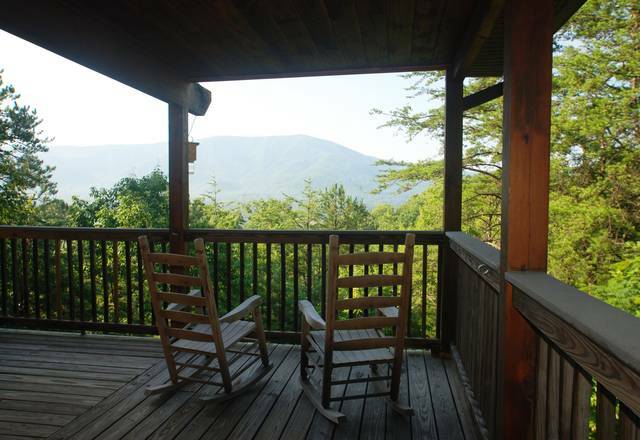 Relax in the comfortable furnishings and get ready for fun in the Smokies. The seasonal gas fireplace is an added bonus on crisp autumn nights and cold winter mornings. The fully equipped kitchen offers ease in preparing meals. Enjoying your delicious meal while taking in the mountain views is an added plus. 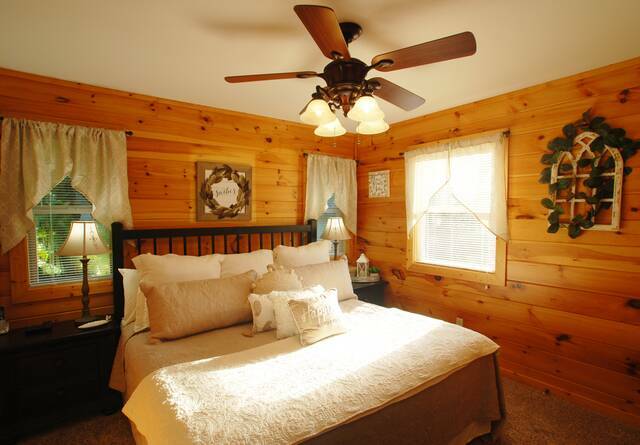 The main level bedroom provides comfortable accommodations and the whirlpool tub in the bathroom provides comfort after a long day shopping in Sevierville, TN at the Tanger Outlet Mall. 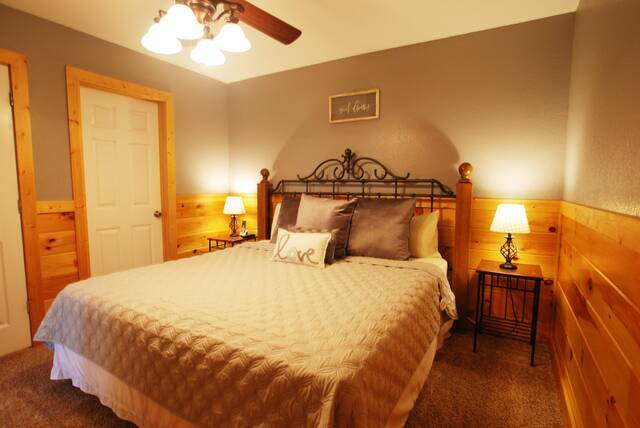 Downstairs you will find another 1/2 Bath and Bedroom with King Sized Bed and en-suite Bathroom. 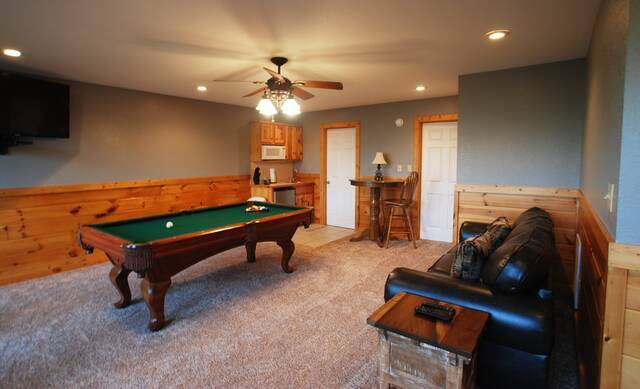 The suites are identical so sharing accommodations with another couple is easy. 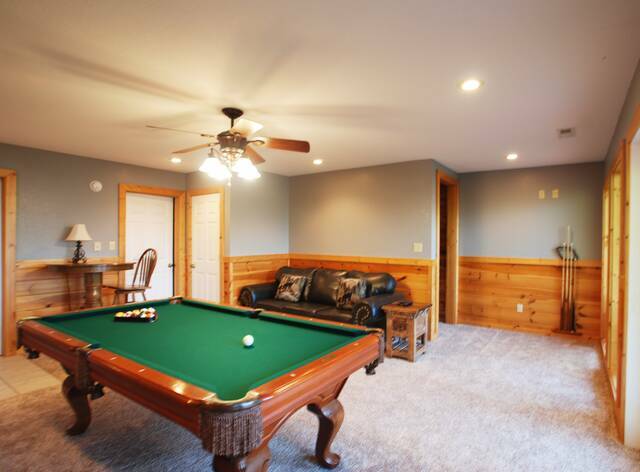 Also located downstairs is a wet bar with mini refrigerator, leather sofa, TV and pool table. 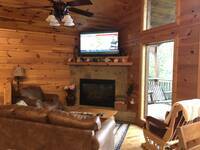 Smoky Mountain Dreamin' is about comfort and relaxation. 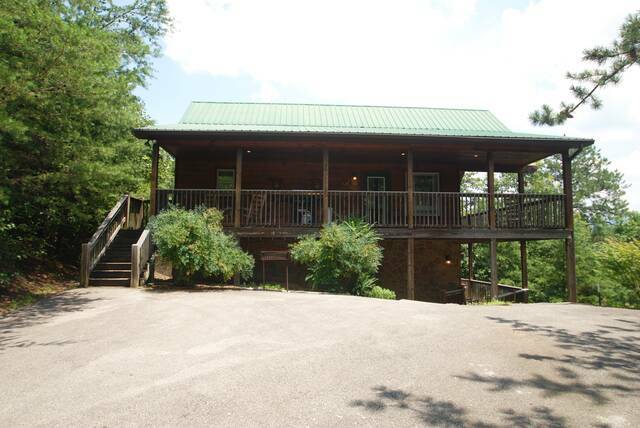 There are upper and lower decks at Smoky Mountain Dreamin'. 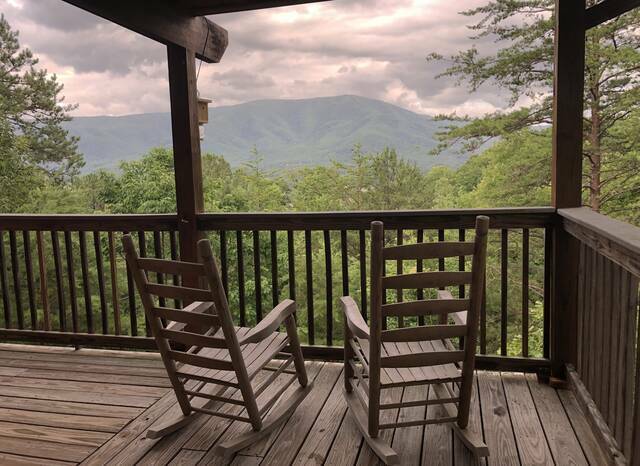 On the upper deck, you will find rocking chairs and a porch swing to enjoy watching the sun cast its shadow as it rises and sets each day. "Mindless thinking" is on the agenda during these moments. No cellphones allowed. 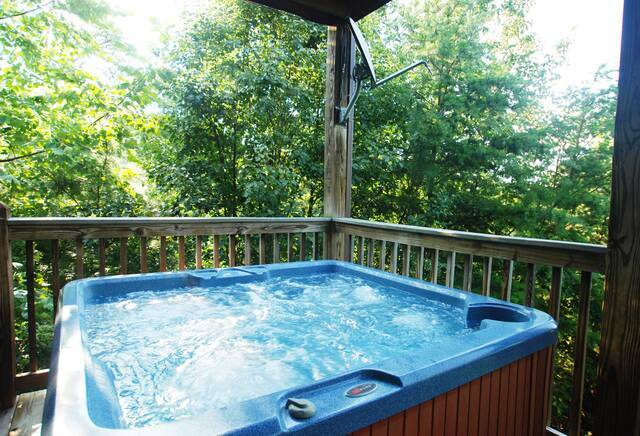 The lower deck houses the outdoor hot tub. 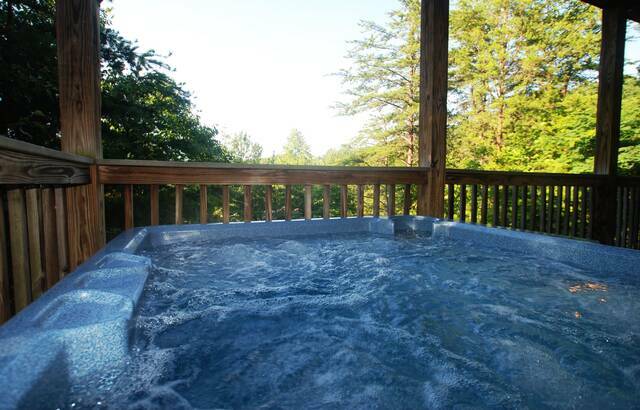 Relax after a day of hiking in the outdoor hot tub. You will want your stay to last longer than you planned. 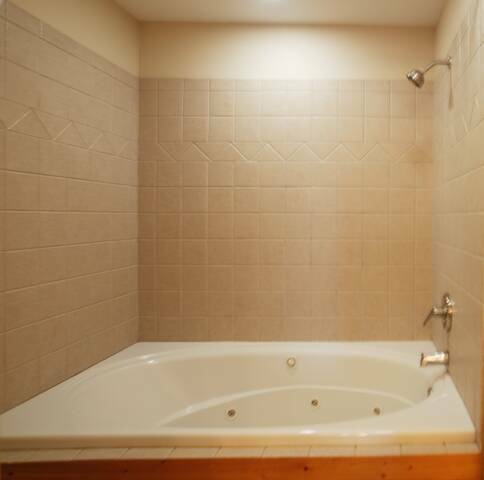 The hot tub offers privacy - so no neighbors to worry about while relaxing in the tub.